KYCK is an amazing weekend conference for teenagers at Katoomba Christian Convention. 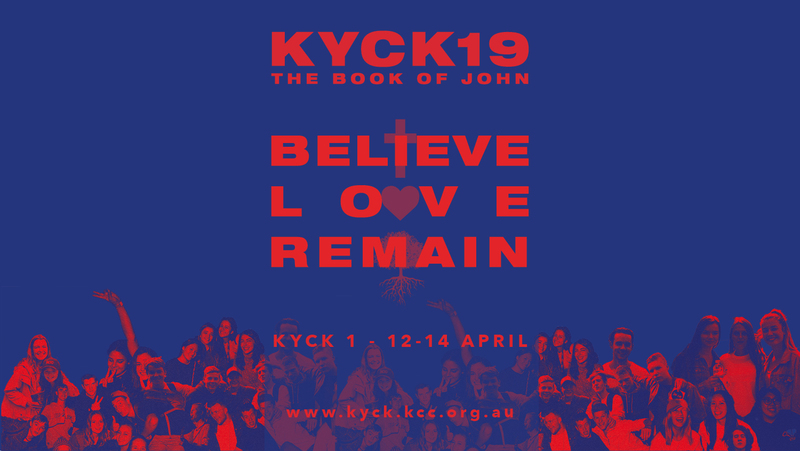 KYCK is returning in 2019 and we’ll be exploring the theme ‘Believe. Love. Remain.’ from the book of John. Come hear of God’s saving grace in Jesus and be challenged to live for Him in the world! Katoomba Christian Convention in beautiful Katoomba is the site of the conference. We will be staying in Group rooms in the Blue Mountains YHA, Katoomba. We’ll be travelling by youth leader’s cars. Meet at the church at 4.00pm Friday 12th April, we will return to the church at 3.00pm on Sunday 14th April. Money for Friday dinner, Sunday lunch (and extra if you are interested in resources from the bookshop or a KYCK hoodie or t-shirt). Hoodies and T-Shirts will be available for purchase at KYCK on Saturday morning from 8.00am. Hoodies are around $40 each and T-Shirts are around $10 each.